The Long Nuclear Peace: A B-plus for the Human Race? A B-plus for the Human Race? In the summer of 2015 Newfoundland’s own Gwynn Dyer could not let the 70th anniversary of the atom bombing of Hiroshima and Nagasaki (August 6, 10, 1945) pass without reminding us of one most pertinent fact: none of the deadly bombs have been dropped in the last 70 years and no major war between the great powers has eventuated since 1945. For many students of international relations, Job Number One in the nuclear age, I told my students, was/is avoiding any kind of nuclear exchange. To that extent all U.S. Presidents since 1945 – Democrat and Republican – have served us well. President Harry S. Truman presided over Hiroshima and Nagasaki in August 1945 but then refused to use atomic weapons when United Nations (including Canadian) forces were being overrun with high casualties in Korea (1950-51). Dyer speculates it may well have been the horrific pictures of Hiroshima and Nagasaki that entered into these decisions as well as the moderating influence of British diplomats. So we do learn something from history, perhaps. Of course, the Soviet Union had the bomb by 1949 so deterrence had definitely arrived even if based on MAD (“Mutual Assured Destruction”). 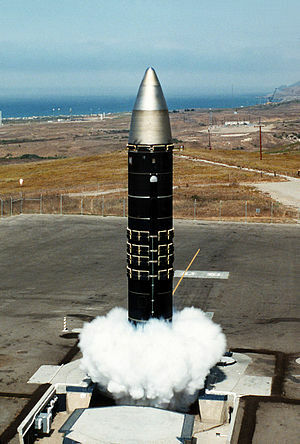 Dyer added: “Once both sides get nuclear weapons they get more cautious.” This in fact has happened between other non-Western nuclear powers – notably China and India and India and Pakistan and may cast (hopefully) a new light on recent negotiations with Iran. But there is no doubt that what the London Economist once called “the long nuclear peace” did not just happen. It took carefully calibrated and even courageous statesmanship to reject the nuclear option in the early years of the Cold War. President Dwight D. Eisenhower (1953-1961) ducked pressure from his military advisors on more than one occasion. 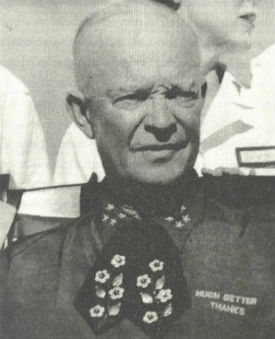 While giving the green light to the buildup of the nuclear arsenal in the 1950s as a cost-cutting measure, “Ike” Eisenhower began his presidency with his “Atoms for Peace” proposal to the Soviets and at the end of his term launched a world peace tour to defuse some of the East-West tensions he had almost reluctantly presided over. Canada’s Prime Minister Pierre Elliott Trudeau picked up that mantle on his own world peace tour of 1983. When the French were trapped in Vietnam and when the Communist Chinese shelled two small islands off Taiwan, Ike bluffed and threatened and sent carrier fleets to the area but had no intention of risking nuclear war. His military prestige perhaps made it possible for him to duck the pressure. A lucky thing. When President Kennedy took over in 1961, he was appalled by the number of missiles and warheads both sides possessed and yet, in spite of some bellicose screeds early on, JFK remained the leading “no nukes” advocate in his cabinet during the scary Missiles of October crisis in 1962. The next year JFK rushed to install the hot line with Moscow and to end nuclear tests in the atmosphere with the Limited Test Ban Treaty of 1963. 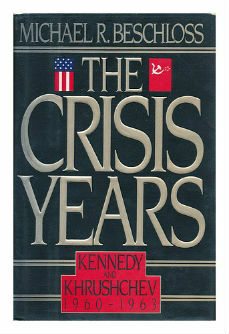 These were signs that the Cold War would not turn hot but no one could say so at the time. Looking back, we have all been incredibly fortunate that cool and resourceful heads have prevailed. This would unleash the nuclear genie, as the phrase goes. Lucky us, so far. However, if terrorists get hold of a device this might be a whole new game – hence the score of B+ plus not A- on this subject. As Dyer reminds us, the number of nuclear weapons peaked in the 1980s at around 50,000 and the US and Russia still own 93% of them. Though seven other countries have now joined the club still nobody has used one…yet. So far, the long nuclear peace has held. 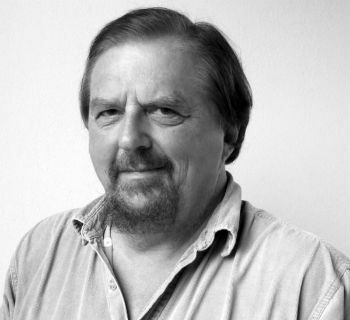 In Dyer’s modest summary, the human race is “making progress.” When the former Soviet Union was torn apart economically in the 1980s, leaders such as Reagan, Thatcher, Bush 41, Pope John Paul II and above all Mikhail Gorbachev had sense enough to seize the occasion for scaling down the nuclear threat that haunted us all. Again, in spite of his huge military build-up, no President expressed his abhorrence of nuclear war more than President Reagan (1981-89). For decades we have been sleeping on a bomb, as one commentator reminded us in the 1970s. So far, the long nuclear peace has held and the worst fears of movie makers, of apocalyptic preachers and even seasoned statesmen have not been realized. For that we can all be thankful.